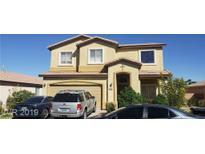 Below you can view all the homes for sale in the Madre Mesa subdivision located in Las Vegas Nevada. 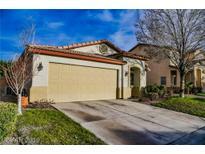 Listings in Madre Mesa are updated daily from data we receive from the Las Vegas multiple listing service. To learn more about any of these homes or to receive custom notifications when a new property is listed for sale in Madre Mesa, give us a call at 702-930-8014. All Appliances Included ,Water Softener , Spa , Covered Patio , Gated , Pet Area , Private Park In Community, Master Has Large Walk In Closet , Water Softener, Traditional Sale MLS#2089204. Realty ONE Group, Inc. HUGE closet in master bedroom! DO NOT MISS OUT! MLS#2072725. Century 21 Americana. Large Master Bedroom With Walk In Closet-community Park- This Home Won'T Be On The Market Long- Tour This Home Today! ! MLS#2068114. eXp Realty. Park locate just across the street from the house. MLS#2032667. Act 1 Realty.